For this shot I tried to create the mood that is so typical for the paintings of the Dutch Masters from the 17th century. 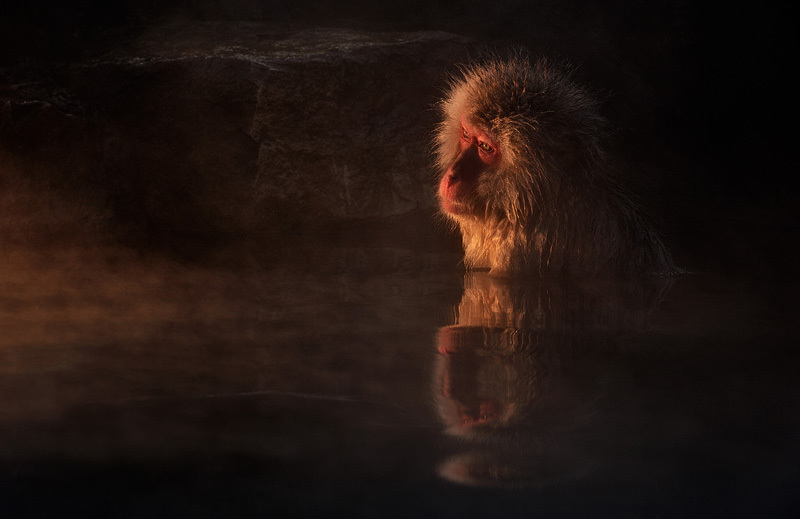 This is one of the four snow monkey images that won me the overall title 'International Nature Photographer of the Year' in the International Photography Awards, and that was featured on the cover of Nikon Pro magazine. I used off-camera flash to create a unique look for this often photographed species.